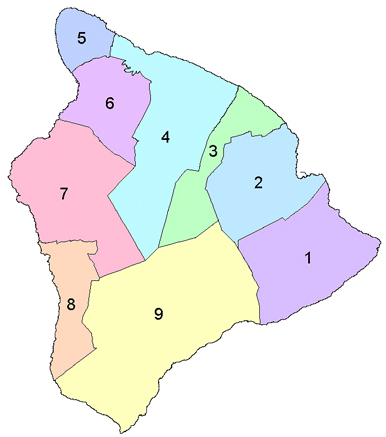 The Big Island is divided into nine districts. Since the trade winds normally blow from the northeast, the west side of the island experiences drier and warmer weather than the east side, which is cooler and wetter. The Big Island of Hawaii is the youngest and largest island in the Hawaiian chain. 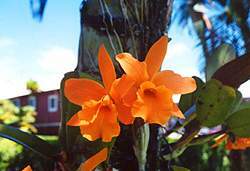 Also know as the Orchid Isle, the Big Island is 4,028 square miles of land and is twice the combined size of all the other islands put together. The Big Island was formed by five volcanoes, two of which are still active. In fact, Kilauea Volcano is the world's most continuously active volcano. 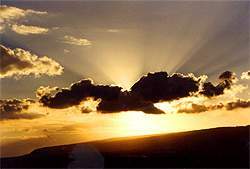 Besides active volcanoes, the Big Island also boasts the southernmost point in the United States as well as the tallest mountains in the state at 13,796 ft. 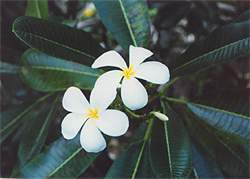 The Big Island also has the most diverse climates of all the Hawaiian Islands. From tropical rainforests to open prairie and snow covered mountains - just about every possible climate exists on this beautiful island. Hawai'i Volcanoes National Park, Akaka Falls, Pu'uhonau o Honaunau National Historical Park (City of Refuge), Pu'ukohola Heiau National Historic Site, and Lapakahi State Historic Park. Additional activities include viewing petroglyph sites, deep-sea fishing, cultural events such as the Merrie Monarch Hula Festival and the Kona Coffee Festival, and sports events such as the Ironman Triathlon. Because of the size of the Big Island, as well as the fact that the island has two mountains over 13,700 feet tall, you can expect to find very many different climates on this pacific playground. From beautiful tropical beach weather to cooler elevations where fireplaces are necessary at night, the Big Island offers a climate for everyone. Hawaii temperatures are in general mild and do not vary more than about +/- 5 degrees throughout the year. Hawaii, known as the Melting Pot of the Pacific is home to an incredibly diverse ethnic population of over 142,000 residents. About 26% of the people are Caucasian, 14% Japanese, 31% Hawaiian or part-Hawaiian, and the remainder either Filipino, Chinese, Hispanic or a combination of the groups. All the islands are known for their Aloha Spirit and you can expect to find generosity, friendliness and compassion wherever you go. 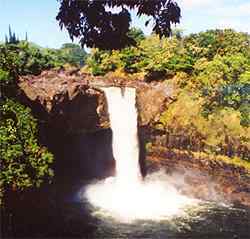 The following list of sites are places you might find interesting about the Big Island of Hawaii. Coconut-Wireless - Wireless Internet in the Hilo/Puna area. Dolphin Bay Hotel - A wonderful and inexpensive hotel in the Hilo area. All rooms come with complete kitchens. 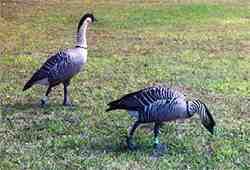 Instant Hawaii - Hikes, Parks, Trails, Plants, Animals, Latest Weather and News for the Big Island. Volcano Art Center - Information and events for the Volcano and HVN Park area.